Easy to use one part polyurethane expanding foam for general construction and home improvement. 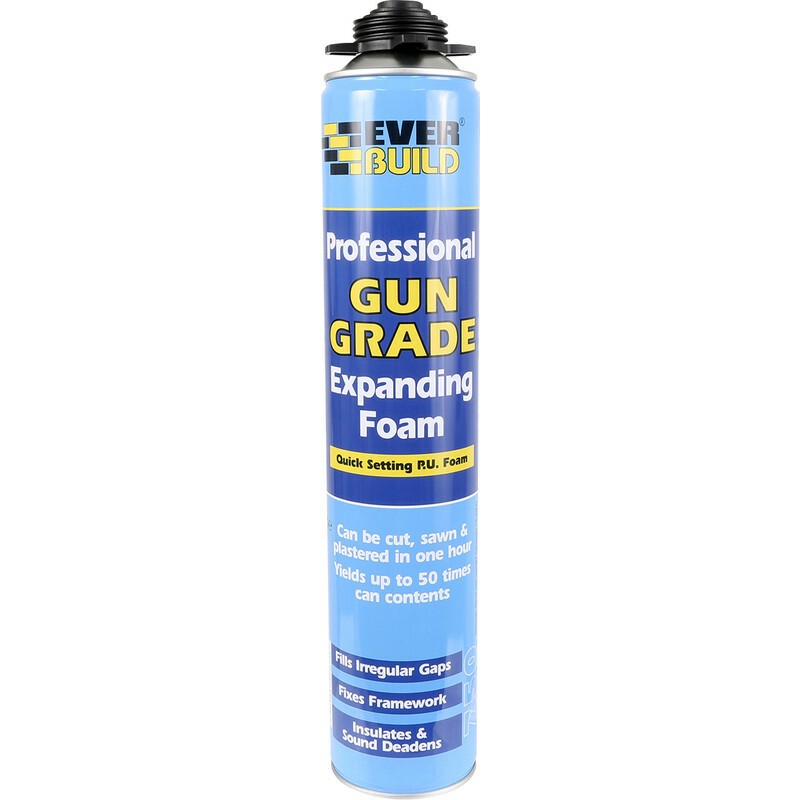 Gun Grade Expanding Foam 750ml is rated 4.5 out of 5 by 13. Rated 5 out of 5 by Avatar from Simple products ! I am satisfied for any product what i bought from Toolstation Store. The Foam also are great and easy to use. Rated 5 out of 5 by MatthewTheWriter from far better than use it once through it away cans Having tried the use it once through it away cans of foam this is a far better system. Rated 5 out of 5 by mr stickit from does exactly what it says on the tin I use it mainly for around frames ,for the usual air ,water seal and adding to frame rigidity ,there's a word . Rated 5 out of 5 by Southwestern from it's foam and it works like foam! Bought many of these cans over the years. Always worked well.